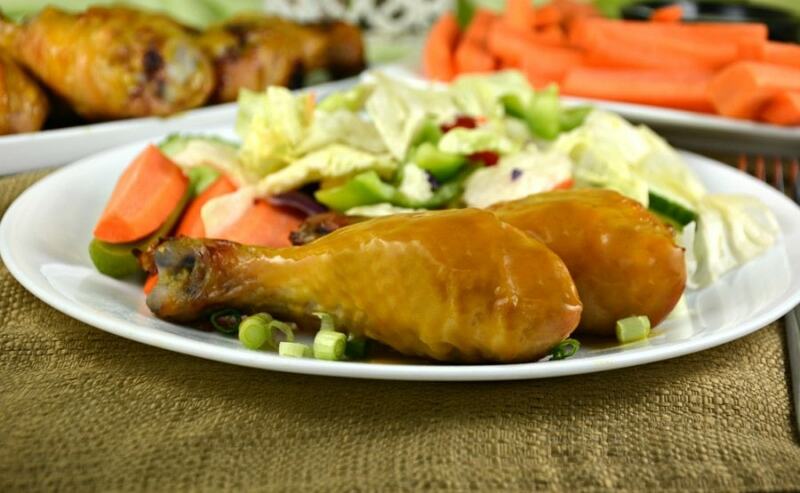 Honey Mustard Chicken Drumsticks are fall off the bone tender, every time! Coated in a homemade honey mustard sauce, they are an easy and delicious dinner! Actually he will be fabulous at anything he decides to do. For now he must finish grade 2! 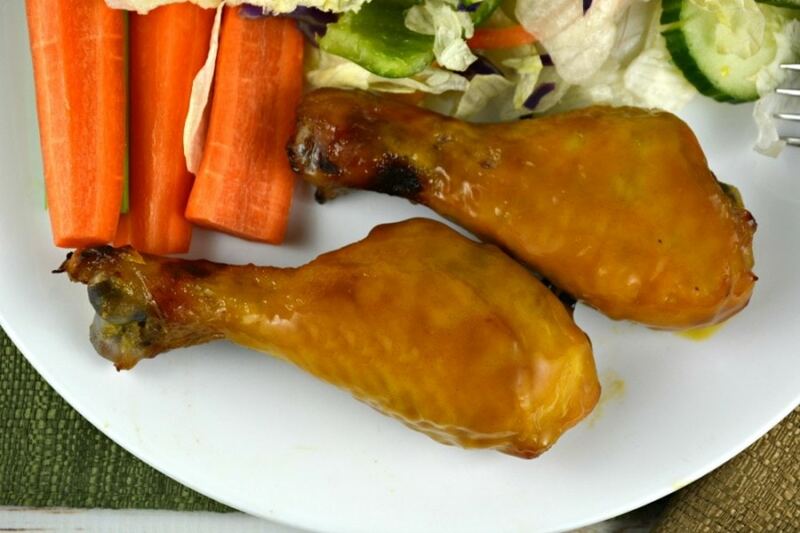 Honey Mustard Chicken Drumsticks are delicious and his favorite. He also wants me to tell you all that the teriyaki chicken drumsticks aren’t bad either. 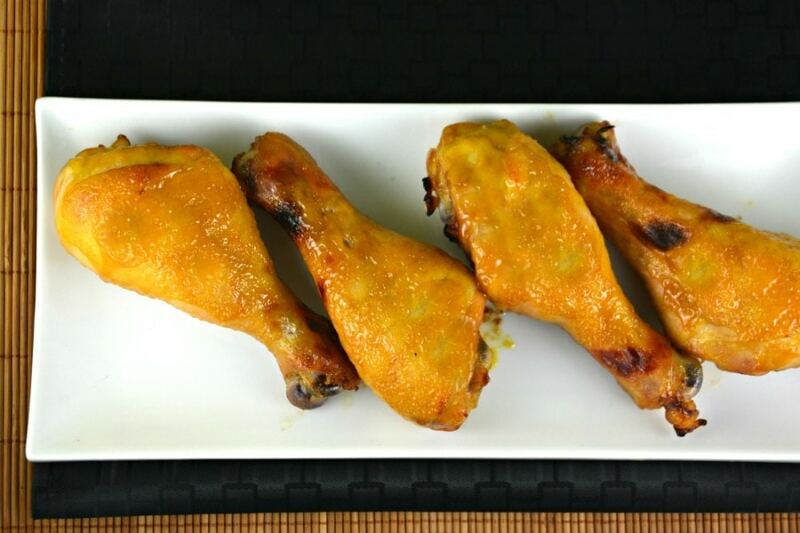 Check out our video below that will show you how to make these Honey Mustard Chicken Drumsticks. We hope you enjoy them as much as Tyler does and we do too! In a medium bowl, combine honey and mustard. Reserve 1/2 cup for basting later. Rinse chicken and pat dry. Place rinsed chicken in a large sealable plastic bag. 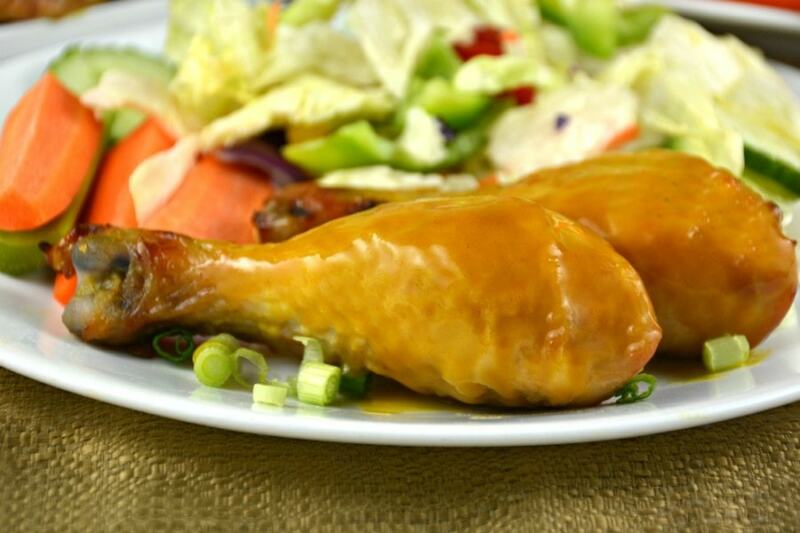 Pour the marinade over the chicken, seal the bag and adjust to ensure the legs are evenly coated with the marinade. Marinate for at least 2 hours in the refrigerator. Once chicken has marinated, preheat oven to 350 degrees. Prepare a rimmed baking sheet with tinfoil coated in cooking spray. Place chicken skin side down on the baking sheet. Bake, turning and basting occasionally, until cooked, about 1 hour.